More than 96 % of respondents assessed the seminar as useful and very useful and 82% among them made their mind to apply for a Call. 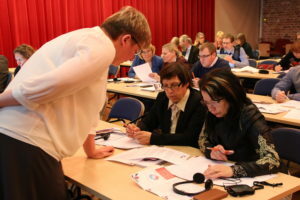 Around 70 participants took part in the first information event for 1st Call grant applicants and partners of the Estonia-Russia CBC Programme representing local authorities, NGOs, state institutions and SMEs. Event was held in Estonia, Viljandi in Estonian Traditional Music Centre on 24-25 January 2017. Seminar was opened by Ms Julia Koger – the representative of the National Authority of Estonia, the Ministry of Finance of the Republic of Estonia. 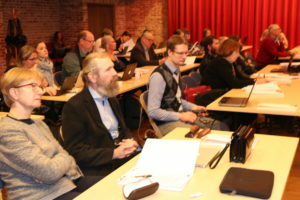 Presentations on requirements of the Programme were delivered by the Joint Technical Secretariat (JTS) and covered the topics essential for preparation of Project Summary Form. These introduced participants with Programme scope and thematic objectives, partnership as well communication and visibility requirements, information on principles of budget planning, eligibility of costs, how to fill in the Project Summary Form and eMS tools etc. Question and answer session focused on contracting and subcontracting issues, co-financing rates, budget topics and Programme indicators. Practical exercise raised discussion about eligibility rules. On the second day individual consultations on particular project ideas were conducted in several groups. Two more identical info events will be organized by the Programme in Russia – 7-8 February in Pskov and 20-21 February in St.Petersburg. 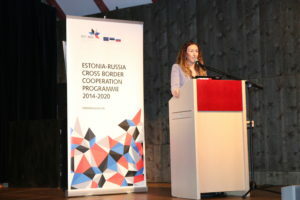 1st Call for project proposals of the Estonia-Russia Cross Border Coopertaion Programme is open from 17 January 2017 . Deadline for submission of project applications (Project Summary Form) is 3 April 2017 at 17:00 (Estonian time).